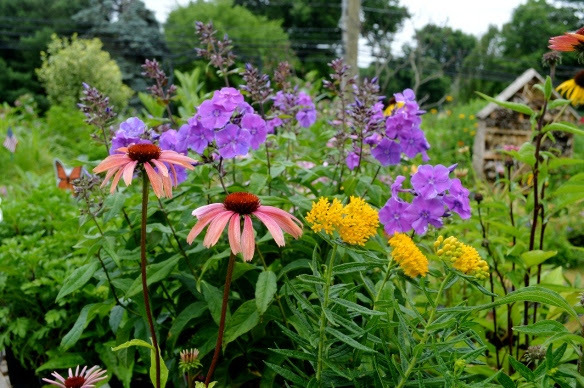 An American Native Plant Celebration! 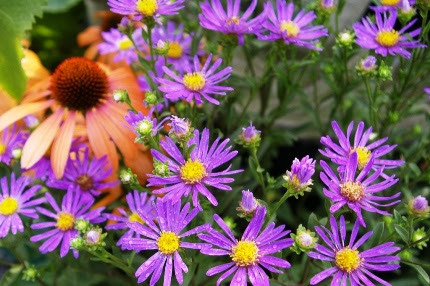 30 Jun An American Native Plant Celebration! What better way to celebrate the birth of our country than to celebrate thenative plants that make our gardens and landscapes so beautiful, productive, and functional. That is why I decided that this Saturday morning (following ourEARLYBIRD SALE FROM 7-9), my garden walk will focus on native plants- BIG TIME! The timing is perfect as we head into the summer season, a time when many of our favorite, easiest to grow native plants are at their peak. A bevy of native beauties! Let’s start by talking about Asclepias. We saw our first monarch butterfly at Natureworks on Saturday, and naturally, it was flitting around our ridiculously massive stand of milkweed. We finally have baby milkweed plants for sale as well as LOTS of other Asclepias species. All Asclepias are larval food plants that the monarchs lay their eggs on. For a basic rundown of the differences between them and to gauge which ones are right for your particular garden, read the article below. There are so many plants on our benches that you may not know are native. Phlox paniculata is one of them. My favorite this week is ‘Blue Paradise’. I have this in my own yard, and the color is indescribable, starting off one color in the morning, morphing to a different color by evening. I also couldn’t design perennial gardens without Phlox paniculata ‘Jeanna’. She has tall, pointed panicles and is a pollinator magnet. Echinaceas are starting to hit their stride right now. As I look out my home office window, I see orange Asclepias tuberosa and orange Echinaceas blending with the first blossoms of blue balloon flowers- all natives, all happily growing and flowering with very little help from busy me. 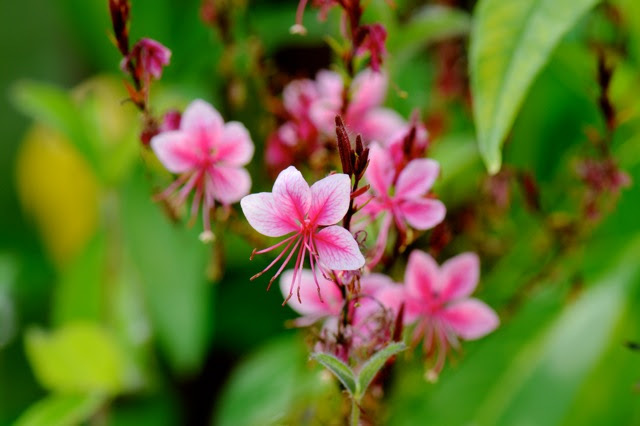 Gaura blooms and blooms and blooms… Try it in a sunny garden or in a container. A wonderful prairie native that tolerates drought conditions like a champ. There are natives for the shade (Gilenia, Chelone, Cimicifuga) and natives to plant NOW for a fabulous fall display (Aster, Eupatorium, Gaura, Vernonia). There are natives that have beautiful foliage (many ferns, Baptisia) and natives that are edible (Agastache or anise hyssop is my favorite). summer bloomer that starts NOW and continues into August (don’t ask me where the name came from). Butterflies love the nectar of all asters, they must realize asters are very important plants for our native pollinators. 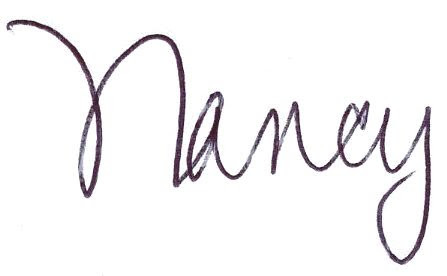 This Thursday evening we are open until 7 pm and I am THRILLED to tell you that Mavi Nadeau, a new Natureworks employee hired this spring, will be teaching an exciting class: Essential Oils 101. I have always used lavender for relaxation and I knew a little about essential oils, but Mavi has opened my eyes to an entire world of using essential oils for stress relief, muscle pain, and so much more. Ironically, I have other friends that have also started using them and raving about them. So I basically begged Mavi to share this with you! Registration information can be found below. We are open all weekend our regular June hours, and we are closed onMonday, July 4th. Monday-Sat 9-5, closed on Sundays until the early fall. What did I do on my days off? Well, I spent most of my time planting in my vegetable beds! I pulled out lots of self-sown poppies and borage to make room for lots more tomatoes. I planted carrot seeds, and did all kinds of mulching, staking, and installing tomato cages. I liberated my celery plants from a sea of weeds. I planted up three more containers on my deck with hummingbird flowers and they immediately visited them. Magic! I deep soaked everything with watering cans filled with Organic Plant Magic compost tea. I picked (and ATE) tons and tons of fresh blueberries and raspberries. My husband and I have been eating broccoli every other day for a week; now I have room in that bed to plant something new. Diane has put the rest of our organic veggie seedlings on a BLOWOUT sale at 75% off. They need a home in someone’s garden- NOW. Can you adopt another tomato plant or two? Second sowings of seeds are happening every day among my staff of food-growing gardeners. Diane says “plant bean seeds”. I say “plant zucchini and yellow squash seeds.” Don’t leave a square foot open, just keep growing and planting food. 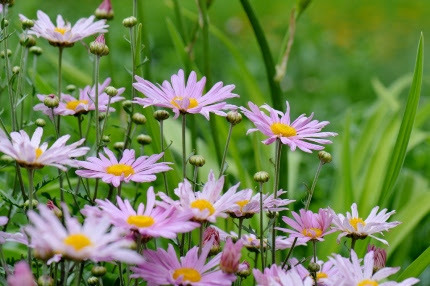 ‘Clara Curtis’ is an old fashioned variety of pink, perennial hardy daisy mum that has stood the test of time. It blooms for two months or more, from June thru the end of the summer. Very pretty, the bees love it, and it is a great cut flower too. Besides native plants, we have a LOT of other very colorful perennials and flowering shrubs on our benches and arriving regularly. We keep our nursery well stocked with FRESH COLOR every week of the summer. I am absolutely in love with the new ‘Glass Slippers’ butterfly bush with soft, pale blue flowers that smell just like dusting powder. Anthemis ‘Charme’ is a charming buttery yellow perennial marguerite daisy with ferny foliage; it is totally deer resistant and a long bloomer. Salvia ‘Black and Bloom’ is an improved version of the gorgeous ‘Black and Blue’, a tender perennial salvia that loves the heat, attracts hummingbirds, and makes a great cut flower. 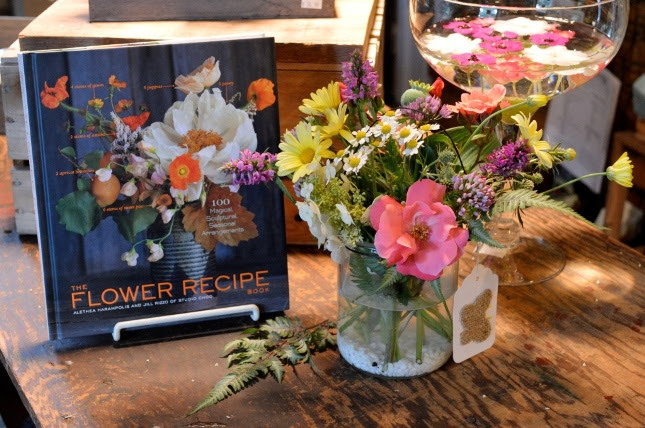 Speaking of cut flowers, my Playing with Flowers workshops each month are starting to really inspire customers and my staff to cut flowers from the gardens and make arrangements. Our store now has the prettiest arrangements that change regularly in all sorts of neat containers. I am thrilled that the gardens are no longer just for admiring and learning- we are also harvesting and arranging beautiful bouquets. 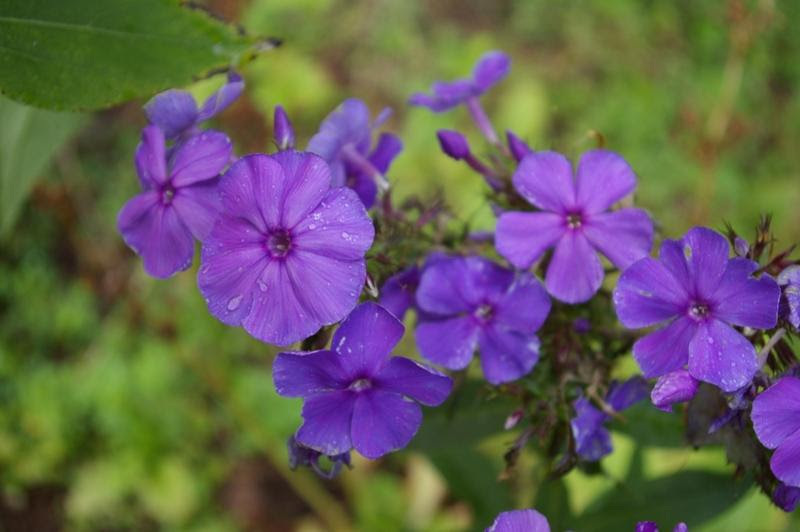 Phlox paniculata ‘Blue Paradise’ in my home garden. It changes from purple/blue to blue as the day progresses. Last year mine was eaten by the deer. This year I protected it with Repellex Systemic. I adore this variety! With the holiday weekend coming up, be sure to stop in and unwind on Thursday evening with our essential oils workshop. Take advantage of the many “pop up”, explosively wonderful sales my staff is putting together. Grab a wagon load or two of fresh color to pretty up the place before your picnic or holiday gathering. Don’t forget the all-natural bug spray and herbal incense. We are filled with color and the gardens are abundant and beautiful. Stop in and see for yourself, perhaps at our Earlybird Sale this Saturday morning. If you arrive before 9 am you will get a $5 gift card good on any purchase of $20 or more. It’s a monthly tradition that gives you some quality, quiet time in our little patch of paradise.